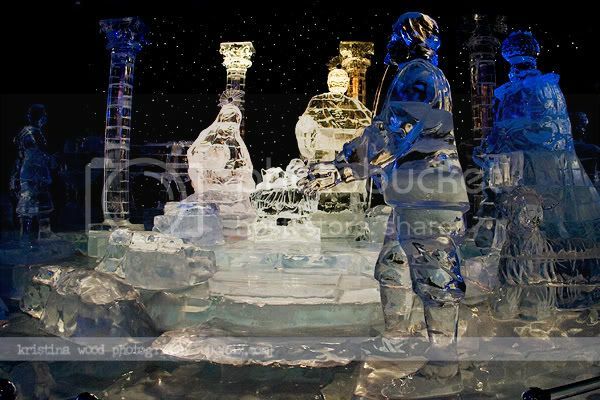 Ever since we've moved to Florida, I've been dying to go to the Ice exhibit at the Gaylord Palms Resort. Yes, there's an ice exhibit in Orlando. 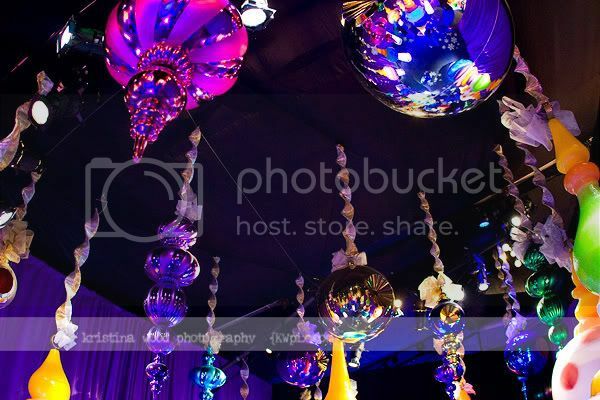 A bit ironic and extravagant, but nonetheless, fascinating! 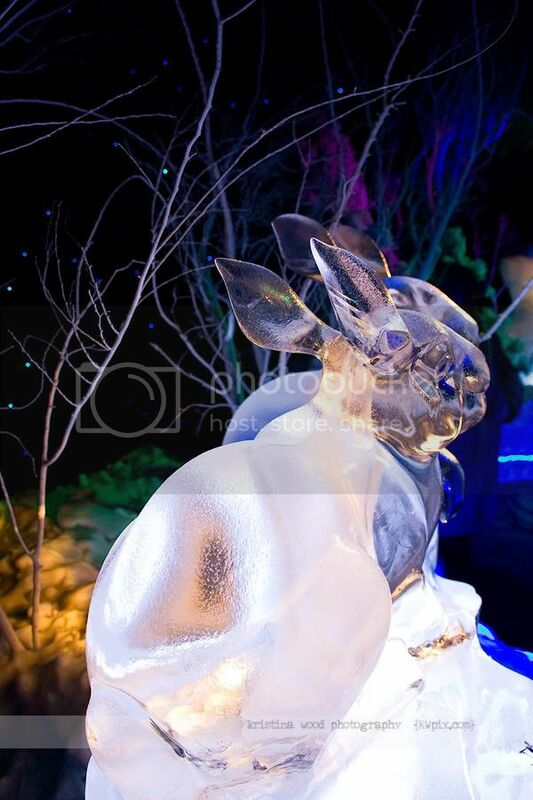 Ice sculptors from Harbin, China are brought in to create some amazingly detailed work. Upon entering, everyone receives a beautiful blue parka to keep warm. It's a balmy 9 degrees inside the exhibit. 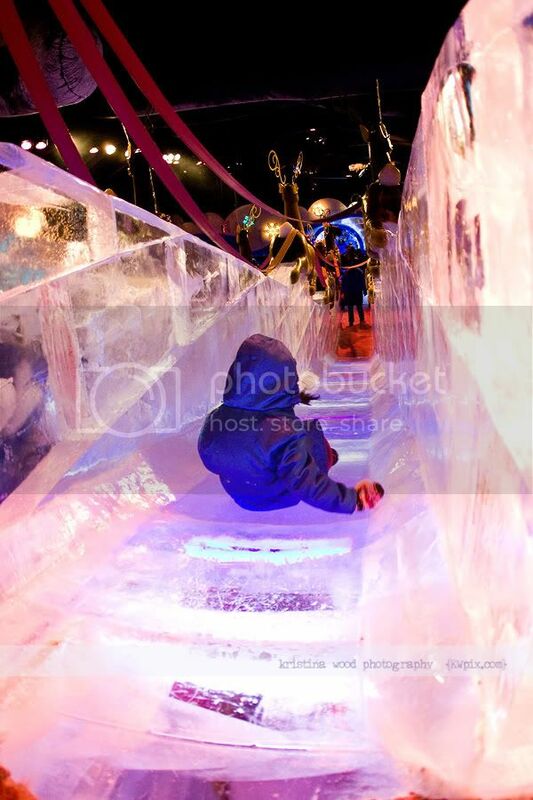 The most exciting part of the exhibit: ice slides! A and I had so much fun going down these. By that point, M (who refused to wear her down coat), was freezing cold, and had to leave. I was a bit concerned about taking my camera into and out of such extreme temperatures. (The danger is that condensation can form inside the camera and cause damage.) Apparently putting your camera and lenses into a Ziploc bag during the transitions can help. That way the air temperature around the camera has time to adjust, and if condensation forms, it will form on the bag, not on the camera. It worked for me!